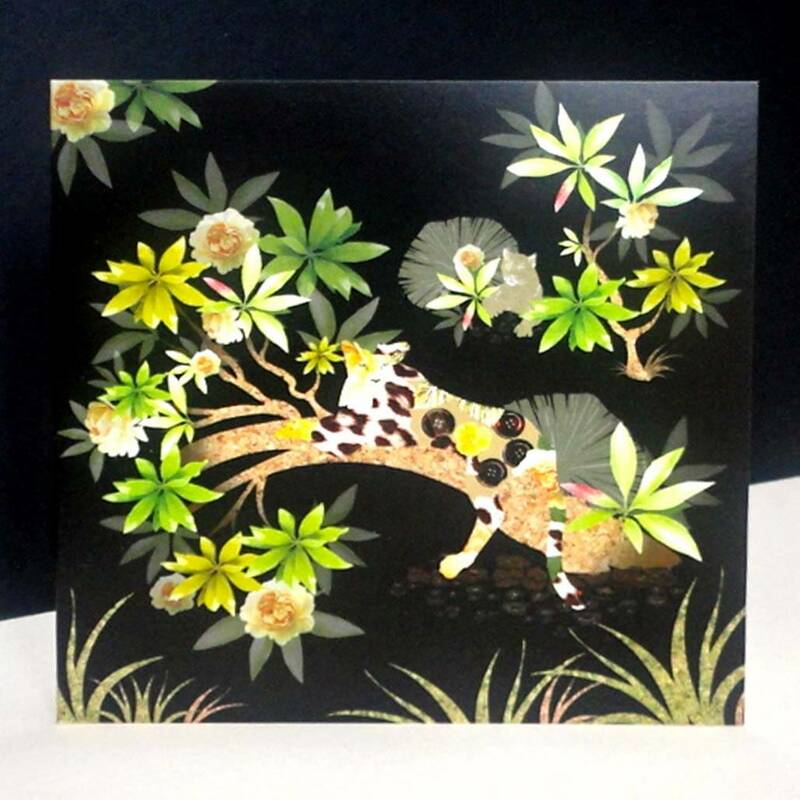 This 'Earth Display' pack of cards has four different designs with a unique glimpse of nature. The 'Imagination in Time' depicts sepia clocks floating with exotic birds, flowers, feathers and paisleys – all of which portray that dream element in my imagination. 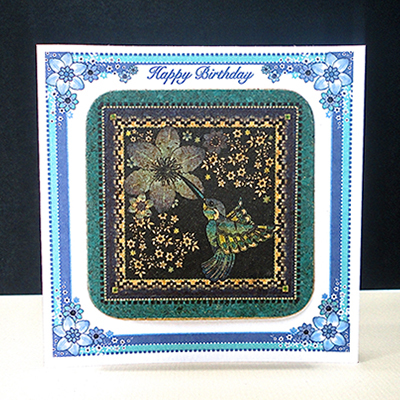 The browns, corals, reds and gold make this beautiful card one of the most popular in the ‘Earth Display’ collection. 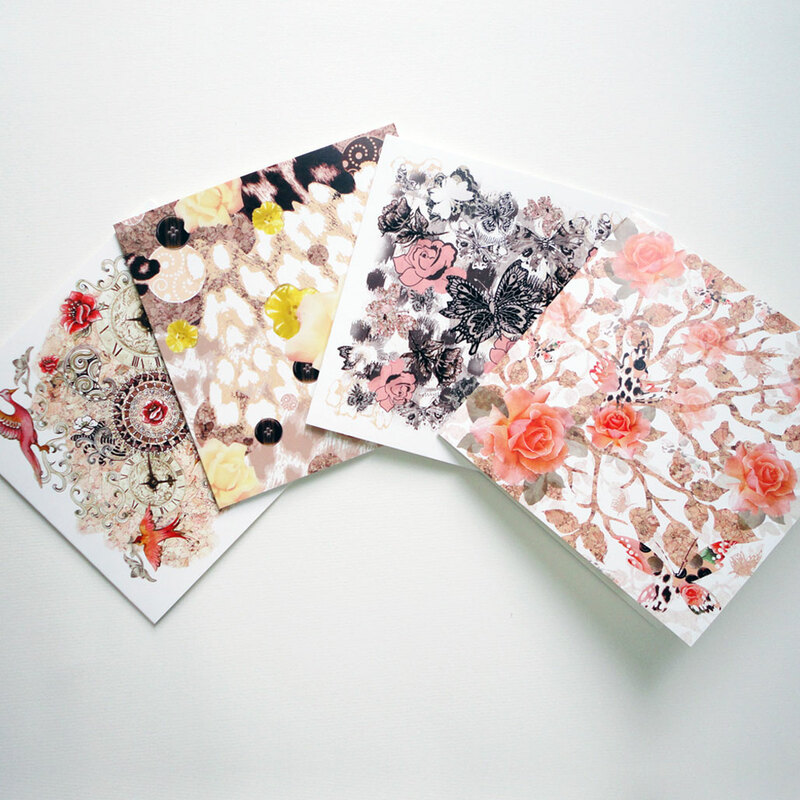 The 'Soft Skin Blush' card design is full of pattern and texture in earthy tones, cream, beige and browns, with interesting detailed circles, buttons and soft lemon blush roses. This design is also available on plastic placemats. 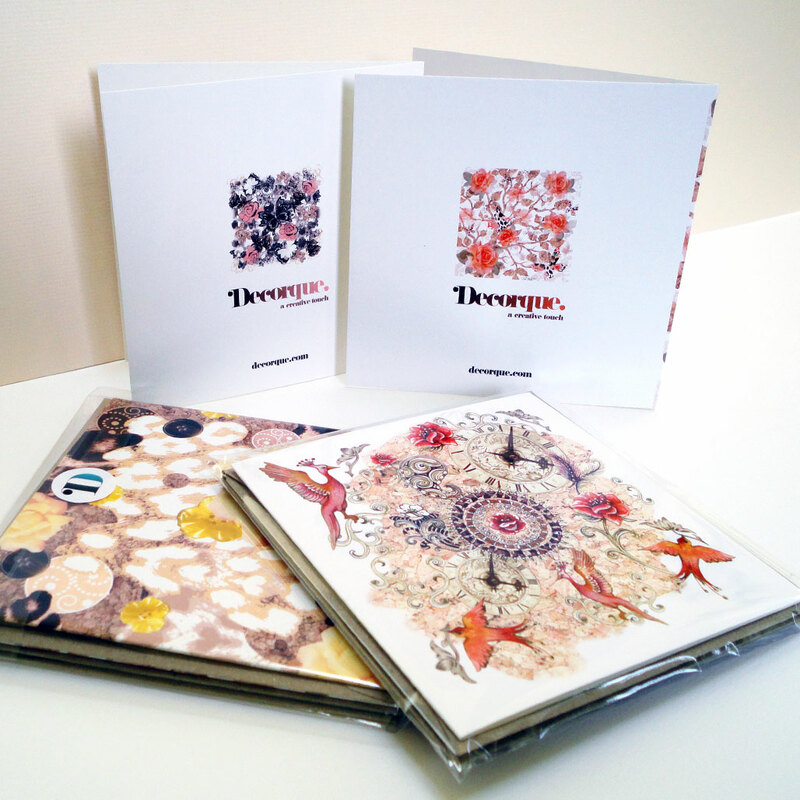 The 'Cork Bush & Butterfly' design is an imaginary glimpse into nature. 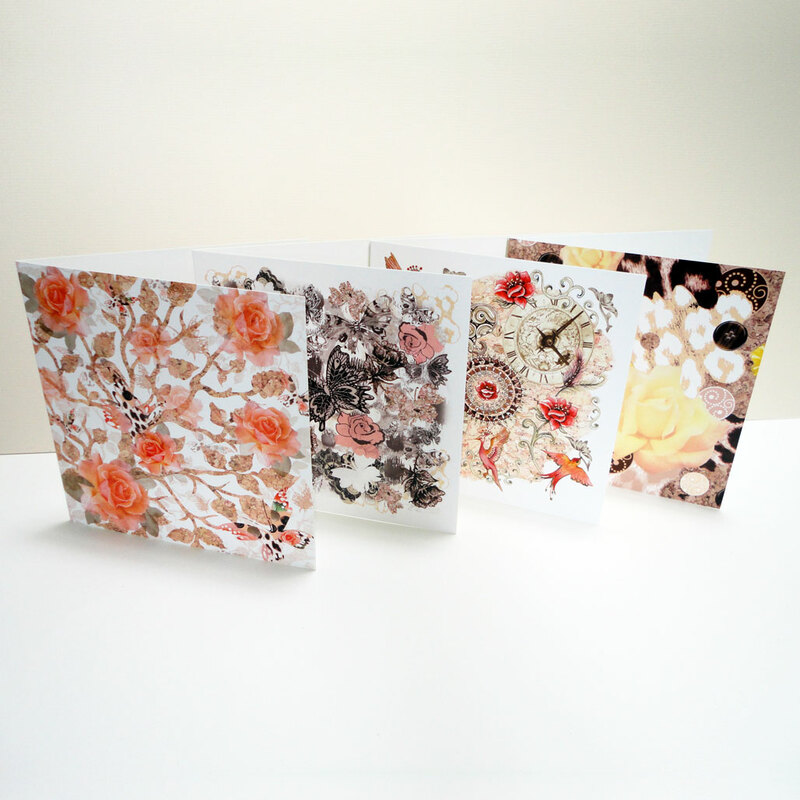 The natural cork textured branches and leaves, soft coral roses and bright patterned butterflies make a unique card. This design is also available as an A3 art print, and on cushions and lampshades. 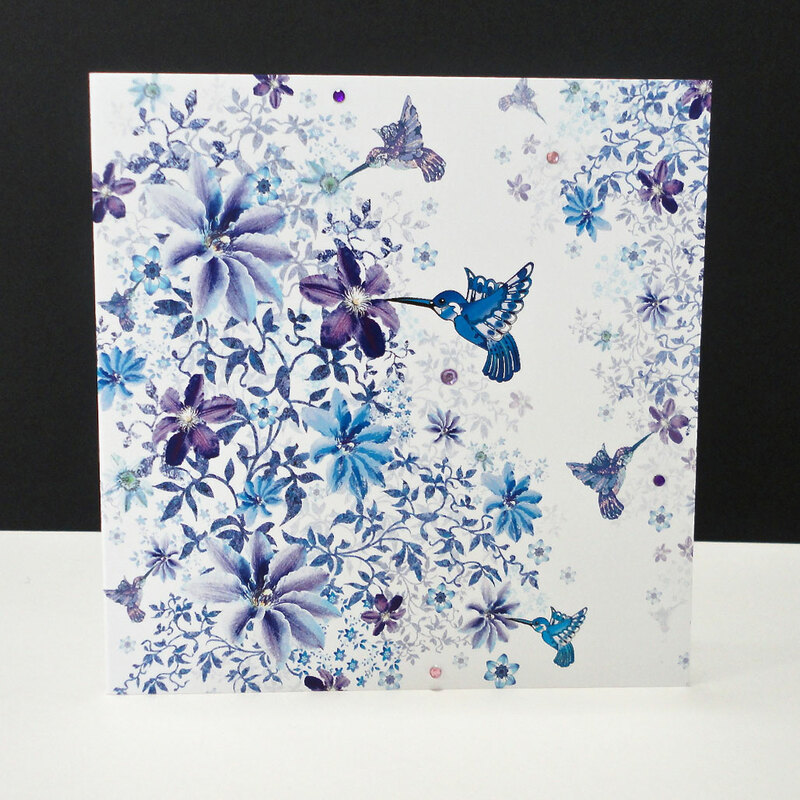 The 'Woodland Butterfly' portrays a collection of patterned and textured butterflies in earthy, woody tones. 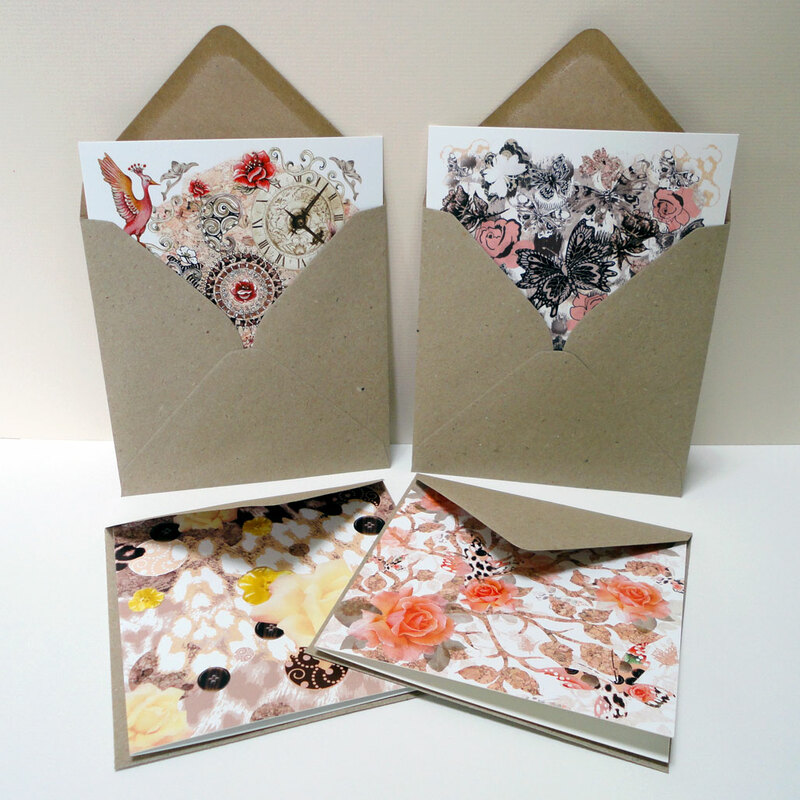 Behind is a mixed media of animal skin in creams and browns, with hand-drawn and dusty coral roses. Size: 150 x 150mm. 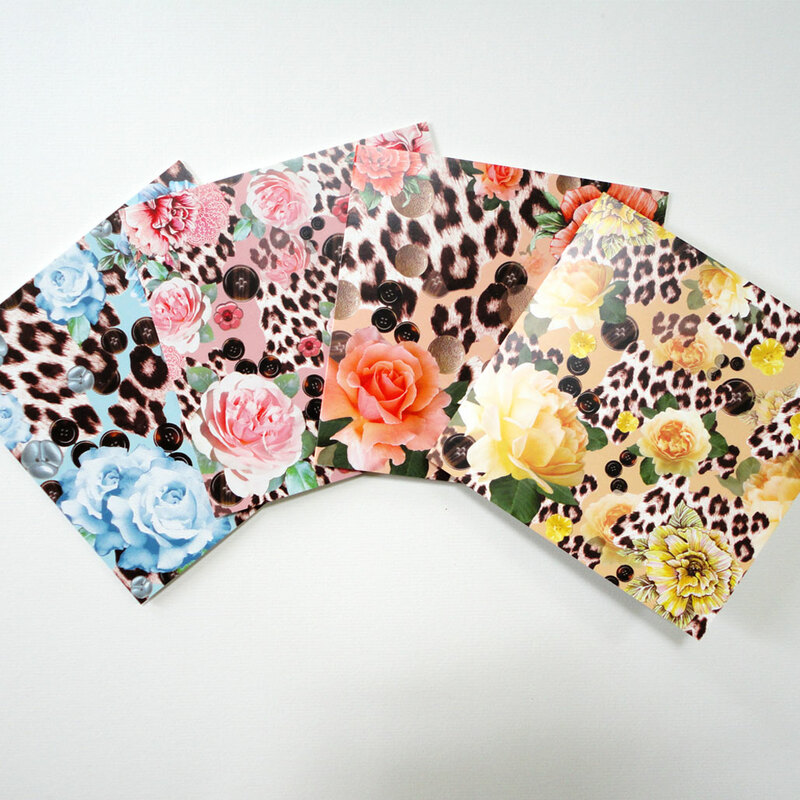 Supplied with buff coloured envelopes. A matching 'Earth Display' set of gift tags is also available.